Are you experiencing Psychological Difficulties such as Anger, Frustration, Stress, Loss, Bereavement and Grief, Self-esteem, Relationships or unable to cope with Clinical Problems such as Anxiety, Depression, Panic Attacks, Phobias, Obsessions & Compulsions, Clutter and Hoarding or other conditions? I offer Counselling, Psychotherapy, Therapeutic Coaching in Bexhill on Sea, Eastbourne, Brighton in East Sussex (face-to face) and beyond (by Skype). I qualified as a psychotherapist from the University of Sussex, in East Sussex, two decades ago, having gained a BSc (Honours) degree in Psychology in the late 1990s. Before training in psychotherapy and counselling I was a translator/interpreter and worked in health professions research in Higher Education Institutions in Kent and East Sussex. 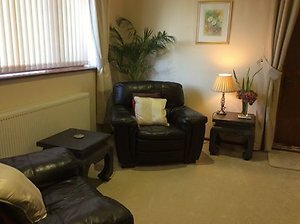 My work as a counsellor and psychotherapist in Bexhil on Sea and Eastbourne is underpinned by the psychodynamic (Freudian) approach which helps clients understand problems by increasing their awareness of how past relationships may be influencing their current issues such as anxiety, generalised anxiety disorder, relationships, depression and many other personal difficulties. I also combine counselling and psychotherapy in East Sussex with life coaching skills for short-term, solution-focused work with clients wishing to manage their phobias, panic disorders, accumulation of unwanted objects (hoarding/clutter), and many other areas. I practise in Bexhill on Sea, Eastbourne and beyond (via Skype). Now offering a Skype option and Home Visits (for the over 60s). I provide a multilingual counselling and psychotherapy service in English, French, Spanish and Portuguese or a combination of the above in a safe space for clients to explore their concerns in a confidential and non-judgemental setting. According to research bilingual and multilingual individuals express their emotions better in their first language or mother-tongue (Aneta Pavlenko, 2005). As a multilingual psychotherapist in East Sussex I offer that space where English, French, Spanish and Portuguese clients are able to overcome the linguistic barriers that would prevent them from exploring their difficulties in their second language. I work as a counsellor or therapeutic coach, short-term (up to 5 or 6 sessions) as a psychotherapist (6 to 12 sessions), as a psychodynamic psychotherapist, long-term (13 + sessions) or for an agreed time period, with the aim of enabling clients to enhance their life and to live it more fully. As a House Therapy practitioner, I can also help individuals organise their home and work spaces by identifying reasons which lead them to accumulate unnecessary possessions (clutter, hoarding). As Sherrie Bourg Carter a Doctor in Psychology says: "Clutter can play a significant role in how we feel about our homes, our workplaces, and ourselves. Messy homes and work spaces leave us feeling anxious, helpless, and overwhelmed. Yet, rarely is clutter recognized as a significant source of stress in our lives."